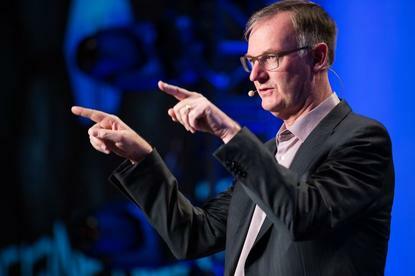 David Goulden has revealed plans to exit as Dell EMC president of Infrastructure Solutions, departing the tech giant on the first anniversary of the creation of Dell Technologies. Goulden - who joined EMC in 2002 - will be replaced by Jeff Clarke, who now becomes Dell vice chairman of products and operations. Specifically, Clarke will lead the vendor’s two product organisations - Client Solutions Group and Infrastructure Solutions Group - while continuing to oversee global manufacturing, procurement and supply chain operations. “The decision to step down following Dell Technologies’ first year anniversary comes with a profound sense of pride for what we achieved in a very short amount of time,” Goulden said. Following a disappointing round of financials - which included flat revenue and declining storage demand - Goulden will exit the business at the end of the vendor’s fiscal year. “David Goulden has played an integral role in successfully orchestrating our historic merger and building the world’s largest privately-controlled technology company,” Dell Technologies chairman and CEO Michael Dell added. “His deep experience as a CEO, CFO, sales and product development leader were instrumental in achieving this major milestone as we mark our one year anniversary as Dell Technologies. Meanwhile, Clarke is currently responsible for Dell’s global supply chain, overseeing worldwide manufacturing, procurement and supply chain activities. Furthermore, the industry veteran has responsibility for leading the engineering, design, and development of servers, storage and networking products, as well as computer desktops, notebooks and workstations, cloud client computing and end-user computing software solutions. “David’s track record of leadership spans many years,” Clarke added. “He’s been a tremendous partner to me over the past year, and I wish him the very best.